Today was full of adventure – actually, I should say “adventures” in the plural. This morning was my flight from Philly to Raleigh-Durham International Airport to begin my journey at ScienceOnline Together! The morning was filled with snow flurries and deicing of my plane, before we took off an hour late. (see video) But, I lucked out having my luggage come off first in baggage claim, being able to grab a cab right away, check in to my room (the Sheraton Raleigh is the conference hotel), and having 20 minutes to spare to get ready for this fieldtrip! Phew! 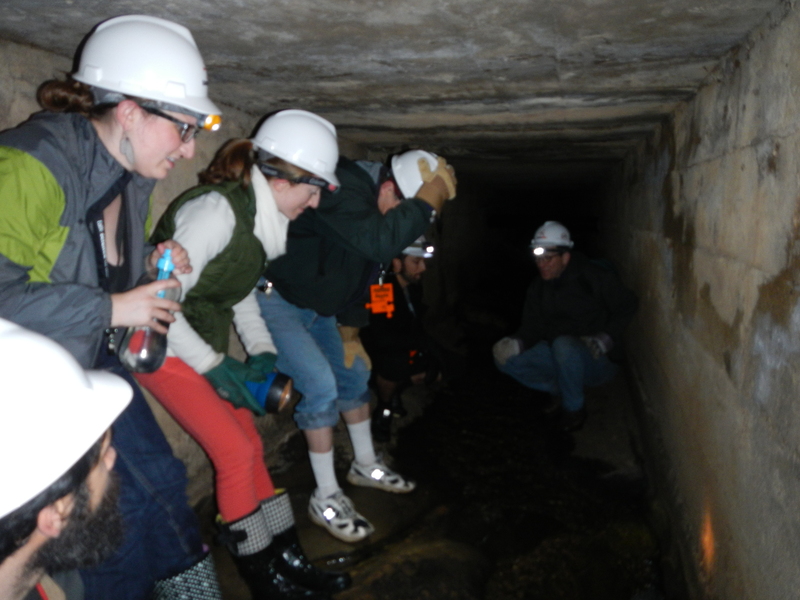 I can’t tell you how much I was looking forward to today’s fieldtrip, the underground stormwater tunnel tour (well, OK, so I did mention it in yesterday’s pre-meeting post)! 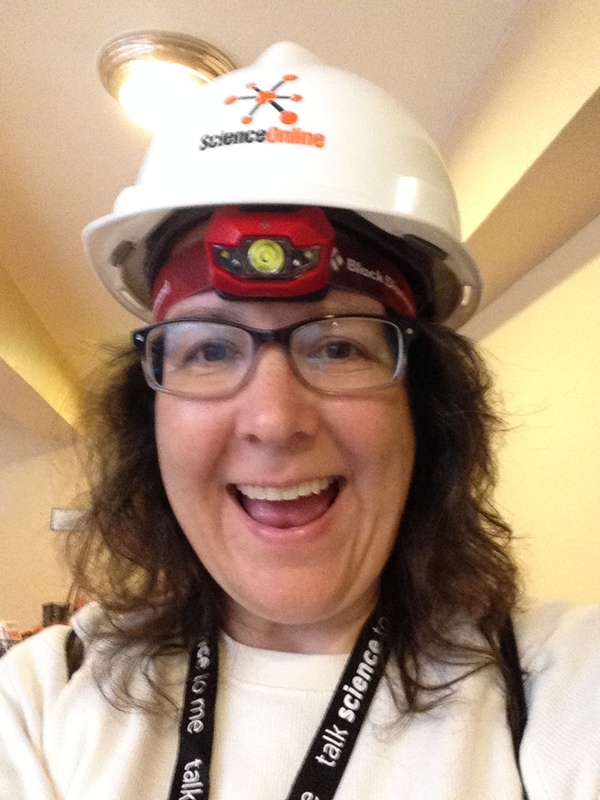 Yes, being able to wear a head lamp and hard hat for the afternoon was cool, but to be able to trek in to a location I had not ventured in to before, with a very enthusiastic group of people coming from science and science communication backgrounds… how can I put it in to words? We got dirty, we got wet, but we also had a lot of laughs and a lot of fun. Scott Huler, author of the book On The Grid and our tour guide for the afternoon, was a very knowledgeable about all things underground in Raleigh. 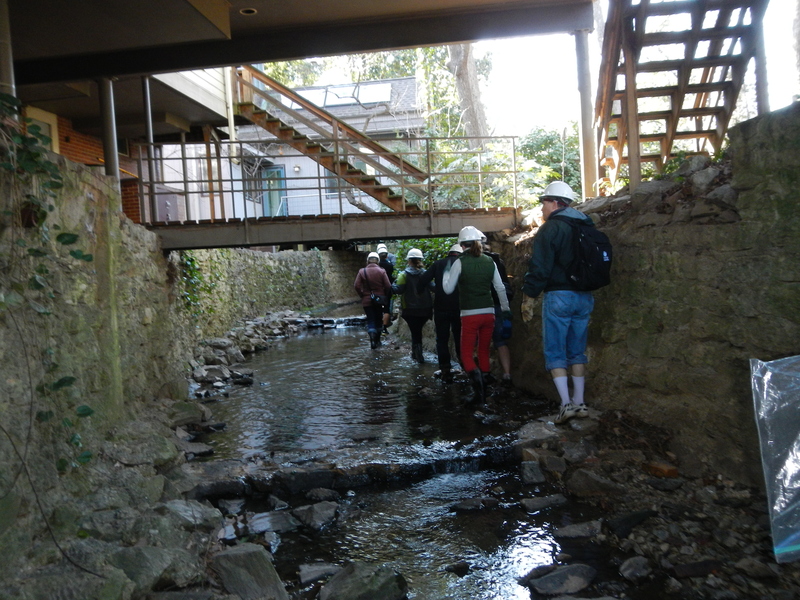 I’ll provide some links to videos (stormwater rundown 1 and stormwater rundown 2) and a blog post from the group that went last year and followed the same path we did of the Pigeon House Branch of Raleigh’s most impaired stream. There’s no need for me to repeat the content of what we learned (I’ll save that for my students next spring semester when I teach EARTH 111: Water – Science and Society). Not much room to stand up – which only put us closer to the granite outcrop that most of us were standing on. 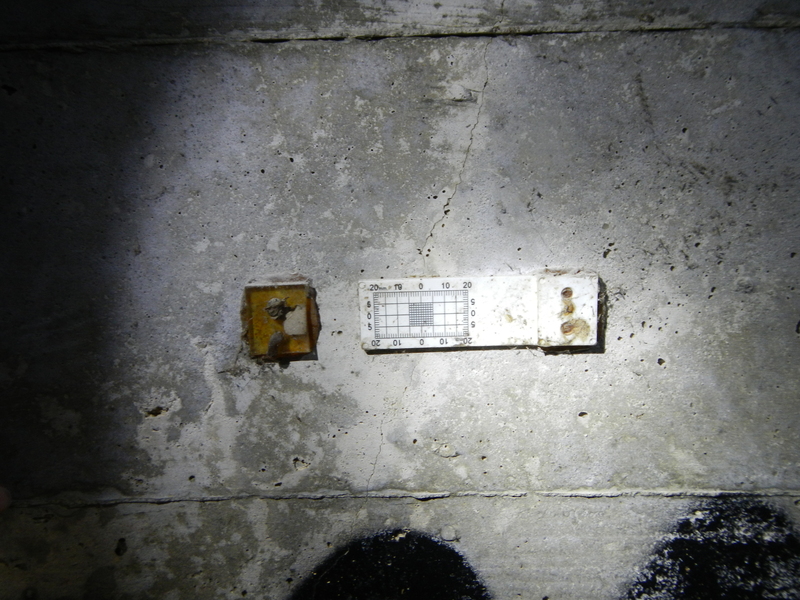 This scale is placed along cracks in the tunnel so that measurements can be taken to track further growth of the crack. 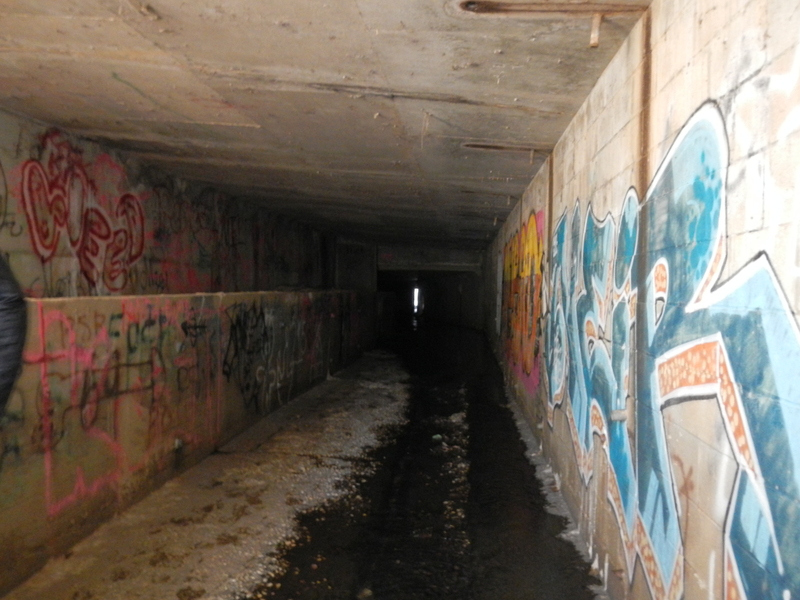 In some places, the graffiti was quite colorful – and the water, quite deep! We also walked through some above-ground stormwater structures that manage the run-off. And at the end of the day, we also heard about the famous Raleigh Sewer Monster! This video captures the monster (which, OK, is really just a tubiflex worm colony).